With the Horizon, Mares and rEvo have approached the design of the cutting-edge, semi-closed rebreather from an open circuit diver’s frame of mind, not simply working to produce a downsized closed-circuit rebreather, but a unit that the diver can use following on from a foundation of open circuit and nitrox knowledge. One of the key attractions of the unit is its incredible ease of use. It is simple to set up, with no tools required, easy scrubber access and filling, and non-interchangeable, color-coded, quick release corrugated breathing hose connections. At only 12kg, the lightweight system is the ideal travel dive companion, requiring no dedicated tanks. 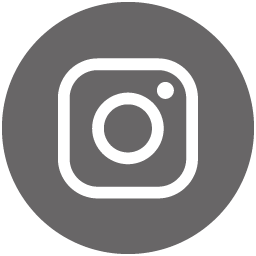 These simple logistics allow the diver hassle-free travel, running on a nitrox stage tank which can easily be obtained at the dive destination. 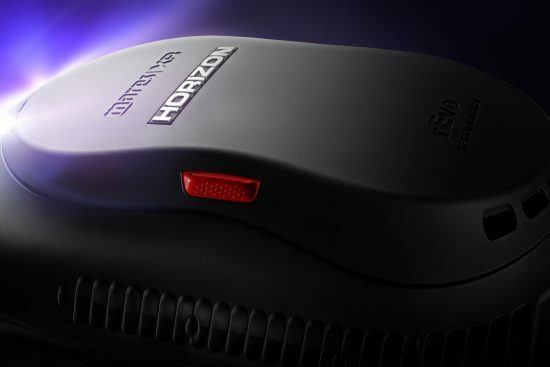 Following the stress-free set up, the Horizon also provides an incredible overall dive experience. 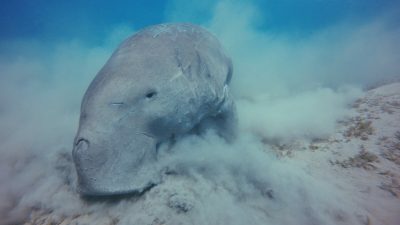 The intuitive system runs constantly on an ideal nitrox mix, and the warm airflow provided means natural breathing, not to mention that a lack of bubbles allows wildlife enthusiasts close encounters like never before. 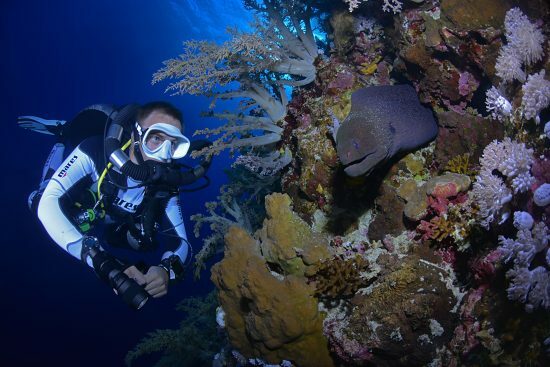 For divers who want to take their dives further in maximum safety, the Horizon also offers an awesome 3-8 times longer dive time compared to open circuit dives, awarding the diver ample time to take in the incredible underwater scenery. 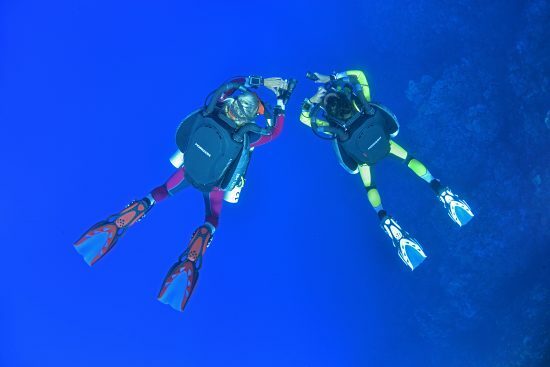 The ergonomic design of the unit provides comfort for longer dives, with an especially contoured back on which a soft back plate, lumbar support, buttplate and padded harness straps sit. The shape of the unit also sets the diver in ideal trim position, and two integrated trim weight compartments can each house a 2kg weight if necessary. A combination of Mares and rEvo’s enhanced technology has created a reliable unit that has been studied for maximum safety and exceptional performance levels, and it is with that in mind that multiple back-up safety systems, triple electronics and triple power-supply have been implemented. 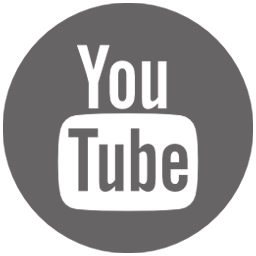 A smart, repositionable HUD visual indicator informs the diver of gas supply status via a pulsating light, and in case of an electronic shutdown, the diver can choose to switch to the BOV, guaranteeing a continuous, safe nitrox supply. 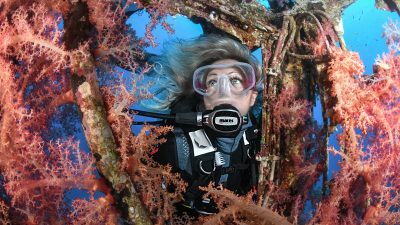 For the more advanced diver, the Horizon offers a range of advantages. 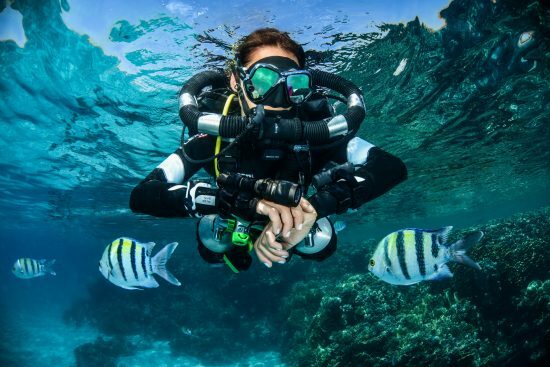 As well as longer dive duration, divers can experience accelerated decompression and dual gas possibilities – with the option of attaching a second tank to use a higher O² concentration nitrox. 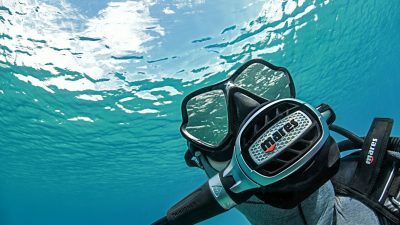 The integrated Mares XR dive computer completes the Horizon, with a 2.8”, easy to read color display and optional wireless gas integration. This intelligent computer is operated via two large piezo elements, meaning effortless operation, especially when wearing gloves, and even includes a scrubber monitoring system to keep the diver informed of scrubber status at all times. 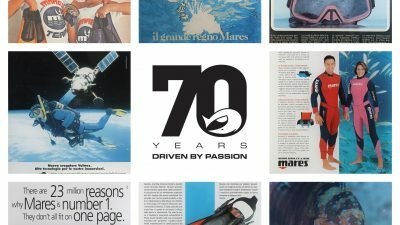 In conjunction with the release of Mares and rEvo’s first semi-closed rebreather, an especially developed SCR training specialty has been developed, requiring 24-30 hours training for initial use, with plans to diffuse the exciting message of Mares/rEvo SCR diving globally throughout 2019 and beyond. The simplicity and innovation of our latest collaboration means diving, as we know it, has reached incredible new Horizons. Become part of the SCR revolution from Mares and rEvo! Discover more about our incredible new SCR here!